However, over the past few years of involvement with the Atlantis transatlantic degree program, we have built a stronger network in one of the major political and economic centers of the European Union. 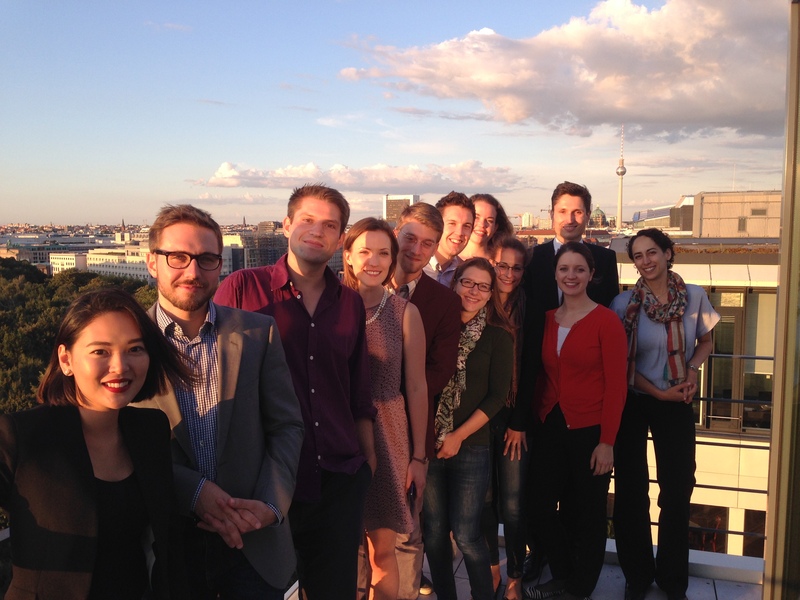 Each fall, as the European part of the Atlantis transatlantic degree program, the Atlantis student cohort arrives in Berlin for coursework at the prestigious Hertie School of Governance. 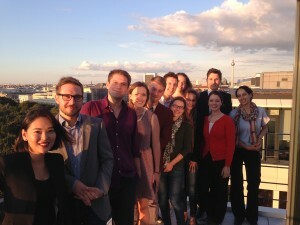 This includes a meeting with some of our wonderfully engaged alumni based in Berlin (photo above), who hosted them on the rooftop of the Bundesverband Oeffentlicher Banken Deutschlands. In addition to this reception, the Atlantis students will have a private tour of the German Bundestag in October and join the alumni at the Berliner Weihnachtsmaerkte in December. In addition to our growing linkages with Berlin on an academic level, this fall Syracuse University is celebrating the 25th anniversary of the Fall of the Berlin Wall with a series of events. More information on this can be found at http://berlinwall25.syr.edu/. Through the combination of these efforts, we hope to build stronger bridges between Syracuse and Berlin in the coming years.